MANACH (Manack, Manachs), JEAN (Jacques), priest of the Missions Étrangères, missionary; b. probably c. 1727 in France; ordained a priest in Paris in 1750; d. 22 Jan. 1766 at sea. Manach was closely involved in the border incidents which began in September 1750 while forts Beauséjour and Lawrence were being constructed on the Chignecto Isthmus. 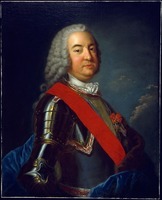 We know that he intervened in the deliberations over the exchange of deserters in April 1753, that he reprimanded the Acadian women who had gone to hang about Fort Lawrence in August of that year, and that he acted as liaison between the officers at Fort Beauséjour and the Micmacs at his mission. His attitude, in short, was that of the majority of the French priests in Acadia in the 18th century, that of a man who openly supported the cause of France. Manach’s servant at this time was a certain Daniel, a Swiss in origin, who, after acting as a double agent, went over to the English at the beginning of 1756. This man attributed to his master subversive utterances: “Every Englishman that you kill will be a step on the ladder to paradise,” the missionary was supposed to have told his Micmacs. In reporting these remarks, Abbé François Le Guerne stated specifically that they were nothing but lies. However, when we consider that the Micmacs did not accept the English peace proposals until Manach had set an example, we may presume that he had encouraged his flock to take an active part in the skirmishing on the frontiers of Acadia. When Fort Beauséjour was taken in July 1755, Manach had to flee to the region of Miramichi, along with the people who had survived Robert Monckton*’s raids. For nearly four years he remained hidden in the woods, the only priest among the Acadian and Micmac fugitives. His superiors said at that time how moved they were by his attachment to his Indians, but they were conspicuously unaware of the conditions in which he lived. Like the civil authorities, they believed that he was being well supplied by Intendant Bigot*, whereas the little group was surviving in the most wretched conditions. After 1760 Abbé Manach’s testimony was in fact added to the file on the bad administration of Canada. He was freed in August 1761 and went to Paris, where he was ill received at the seminary. The directors of the seminary claimed, in fact, that he had left his mission without permission, and agreed to lodge him only if he paid board. Consequently he had to obtain, through the influence of the Abbé de L’Isle-Dieu, two benefices from the court to ensure his subsistence. Manach wanted, however, to return to Acadia and increased his endeavours to this end. 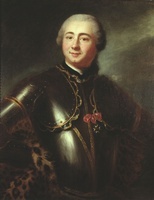 The Abbé de L’Isle-Dieu approached Lord Stanley, a British diplomat, in order to obtain permission for Manach to return to Acadia. Yet the directors of the Séminaire des Missions Étrangères were really contemplating placing the former missionary as a curate in a parish in Paris. “Wishing to do justice to oppressed virtue and innocence,” the Abbé de L’Isle-Dieu took the missionaries under his protection. On 7 June 1765 he obtained for Girard and Manach the offices of “prefect and vice-prefect in the new apostolic prefecture of the islands of Saint-Pierre and Miquelon,” where many Acadian refugees were living. This appointment gave proof of the regard which was shown the two missionaries, who were being entrusted in this way with some of the powers of a bishop. The ship which was carrying Manach and Girard was shipwrecked and ran aground in Martinique. Manach died on 22 Jan. 1766 during the voyage taking him back from Martinique to the mother country. AAQ, 11 B, Correspondance, III, 277; 1 W, Église du Canada, VII, 101–8, 133–36, 209–26, 229–49, 273–83. ASQ, Chapitre, 147; Lettres, M, 113, 115, 118, 120–21; P, 67; Polygraphie, V, 40; VII, 5; XI, 2–4; Séminaire, XIV, 6, no.14. AN, Col., B, 113, ff.229, 231; 115, f.242; 120, f.431; 121, f.654; 122, ff.223, 265, 586, 588; C11A, 105, ff.82–108. PAC, MG 17, A3, 26/1–2. Coll. doc. inédits Canada et Amérique, I, 47–52; II, 142–45; III, 60–87, 181–91. Placide Gaudet, “Acadian genealogy and notes,” PAC Report, 1905, II, pt.iii, 186–97, 345–56. Knox, Historical journal (Doughty), III, 353–421. Derniers jours de l’Acadie (Du Boscq de Beaumont). “Lettres et mémoires de l’abbé de L’Isle Dieu,” APQ Rapport, 1935–36, 275–410; 1936–37, 331–459; 1937–38, 147–95. N.S. Archives, I. Johnson, Apôtres ou agitateurs. Albert David, “Les missionnaires du séminaire du Saint-Esprit à Québec et en Acadie au XVIIIe siècle,” Nova Francia, I (1925–26), 9–14, 52–56, 99–105, 152–59, 200–7. Micheline D. Johnson, “MANACH, JEAN,” in Dictionary of Canadian Biography, vol. 3, University of Toronto/Université Laval, 2003–, accessed April 24, 2019, http://www.biographi.ca/en/bio/manach_jean_3E.html.